One of only seven editors-in-chief in American Vogue’s history, Jessica Daves has remained one of fashion’s most enigmatic figures—until now. Diana Vreeland’s direct predecessor in the role, it is Daves who first catapulted the magazine into modernity. A testament to a changing America on every level, Daves’s Vogue was the first to embrace a ‘high/low’ blend of fashion in its pages and also introduced world-renowned artists, literary greats, and cultural icons into every issue with a revitalized dedication. Daves’s Vogue offered the reader a complete vision of how fashion, interiors, art, architecture, entertaining, literature, and culture were all connected and all contributed to refining and defining personal style. Profiling icons of American style from John and Jackie Kennedy to Charles and Ray Eames, Daves’s Vogue also featured the couture creations of Dior, Chanel, Givenchy, and Balenciaga. Organized in multifaceted, thematic chapters, 1950s in Vogue features carefully curated photographs, illustrations and page spreads from the Vogue archives (with both iconic and less-familiar images from photographers including William Klein, Irving Penn, John Rawlings, Karen Radkai and Erwin Blumenfeld), as well as reproductions of fascinating archival materials and correspondence to craft the comprehensive story of Daves’s Vogue. 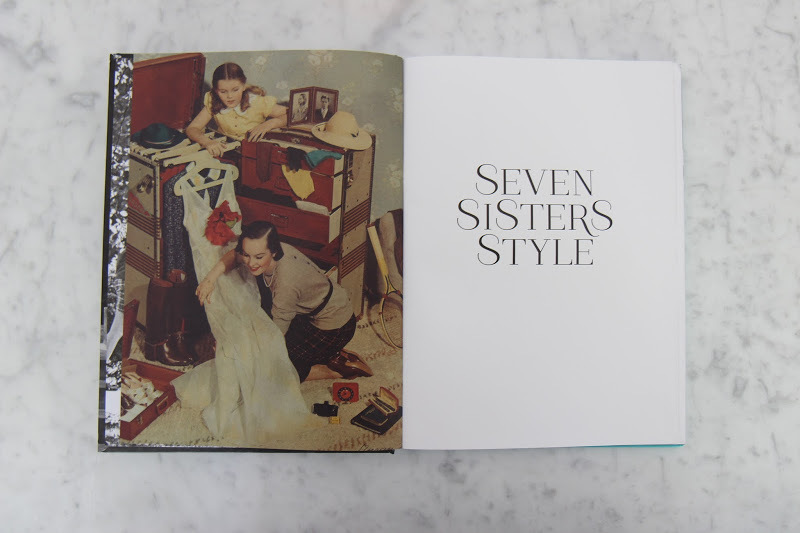 1950s in Vogue is the first exquisitely illustrated volume to profile both Jessica Daves and her Vogue. 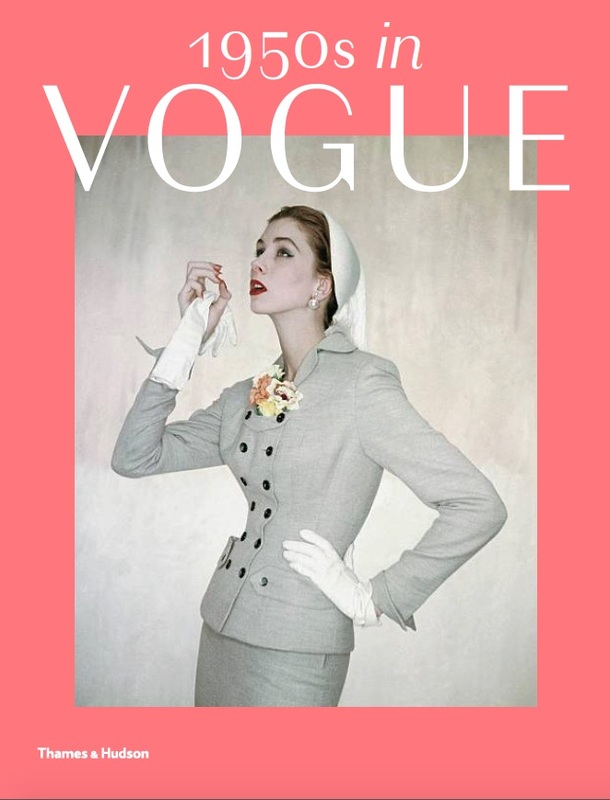 Revealing a fascinating and hitherto little-explored moment in Vogue history, 1950s in Vogue is a must-have reference for lovers of fashion, photography, and style. 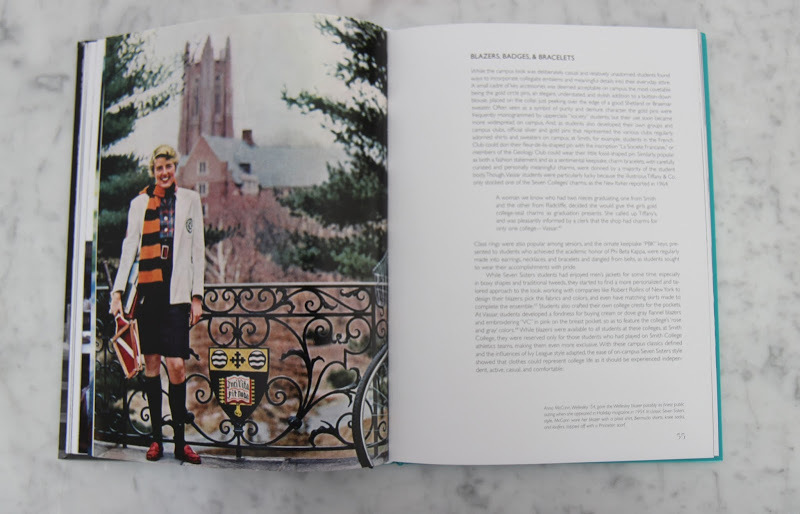 The first beautifully illustrated volume exclusively dedicated to the female side of preppy style by American college girls. 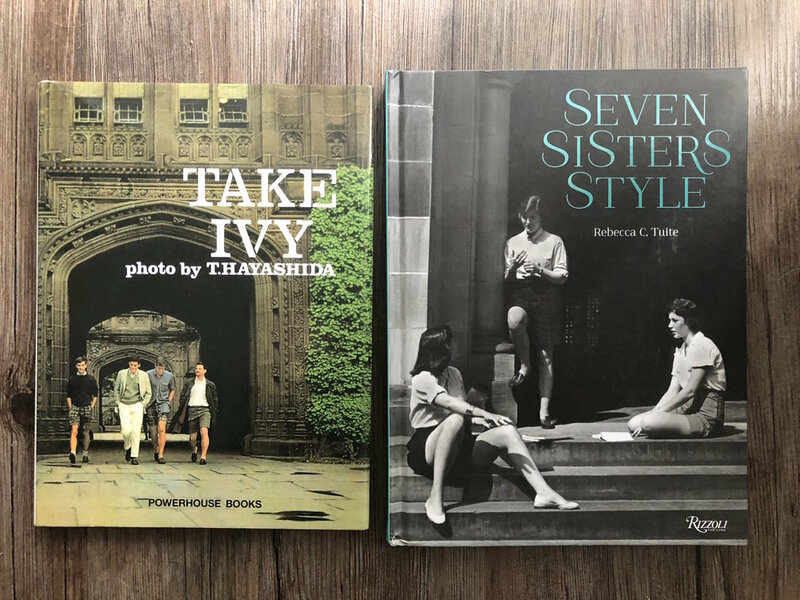 The Seven Sisters-a prestigious group of American colleges, whose members include fashion icons such as Katharine Hepburn, Jacqueline Kennedy, Ali MacGraw, and Meryl Streep-perfected a flair that spoke to an aspirational lifestyle filled with education, travel, and excitement. 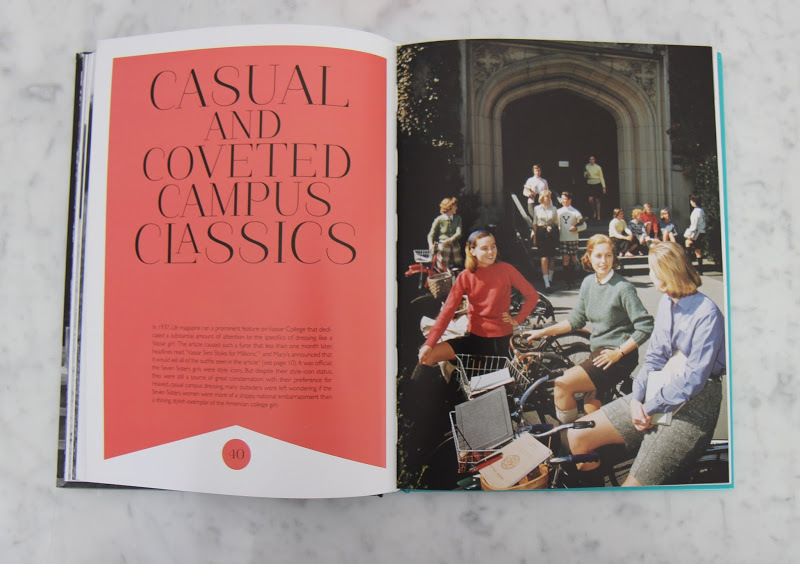 Their style, on campus and off, was synonymous with an intelligence and American grace that became a marker of national pride and status all over the world: from jeans and baggy shirts to Bermuda shorts and blazers, soft Shetland sweaters and saddle shoes, not to mention sleek suiting, pearls, elegant suitcases, kidskin gloves, kitten heels, and cashmere. "[The college girl's] contribution to fashion is as American as Coca-Cola, baseball and hitch-hiking," announced Harper's Bazaar in 1935. 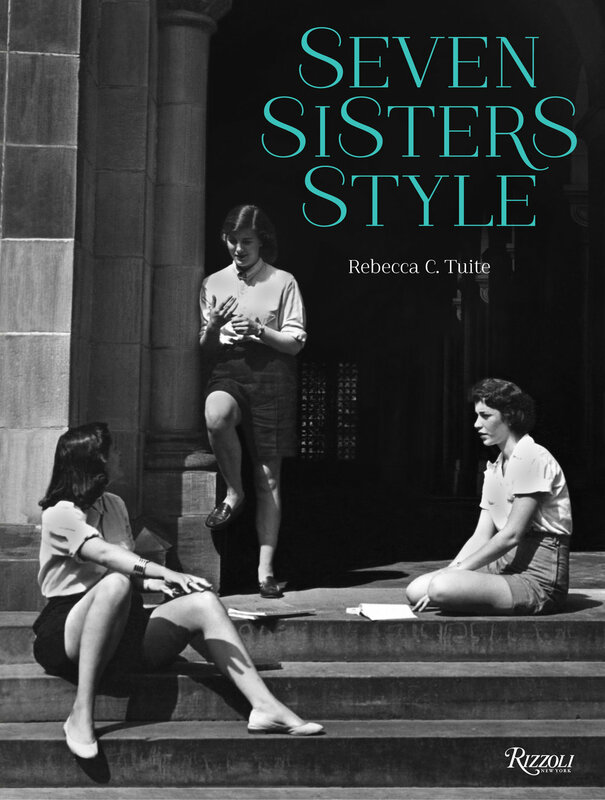 Seven Sisters Style explores the multifaceted foundations and metamorphosis of this style, from the early twentieth century through today. Was the Seven Sisters girl an East Coast Ivy Leaguer? A geek or a goddess? Radical or conservative? A tomboy or an American princess? In many ways, she was all of these and more. 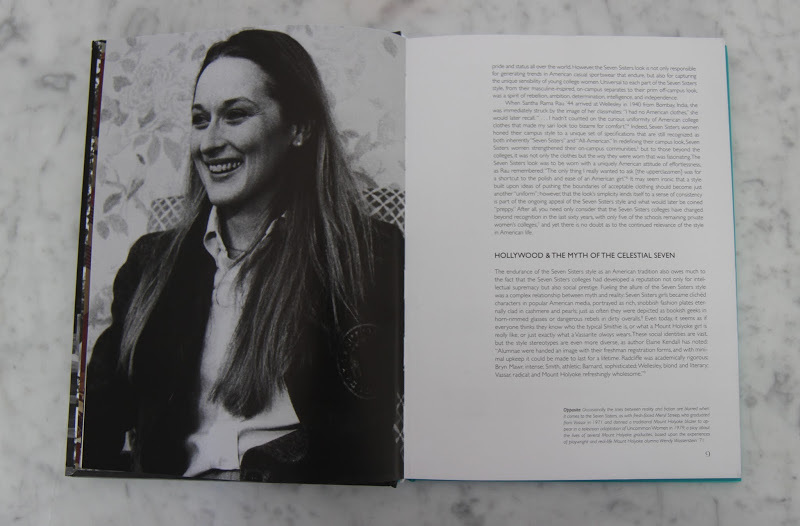 This book presents a treasure trove of stunning visuals, including those from the archives of the Seven Sisters colleges that illustrate their legacy and enduring reverberations on and off the runway, in Hollywood, and in popular culture. From Dior's tailored blazers, wrap skirts, and short socks and heels to Balenciaga's juxtaposing the argyle sweater, collared blouse, and sharp tailored blazer, and even Band of Outsiders' silk pajama tartans with oversized coats and collegiate wool hats and scarves, it is a look that continues to fascinate and inspire. 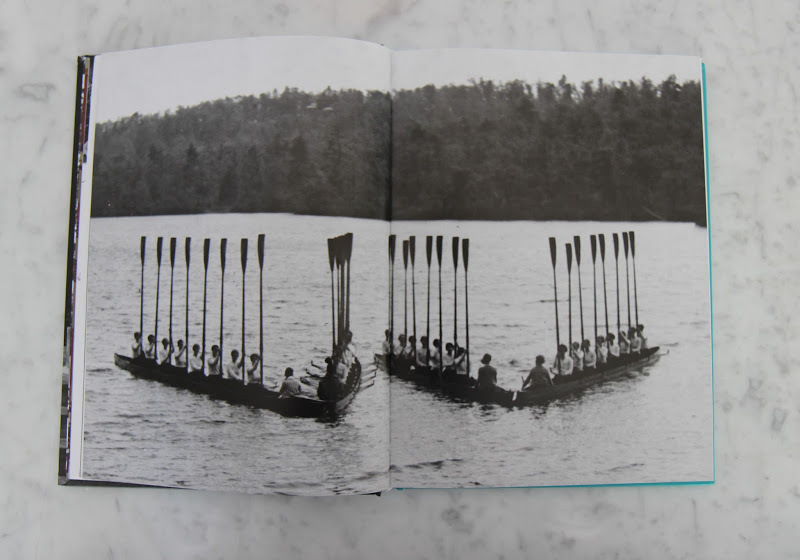 A large-scale publication dedicated to the 1950s as captured in the pages of American Vogue. 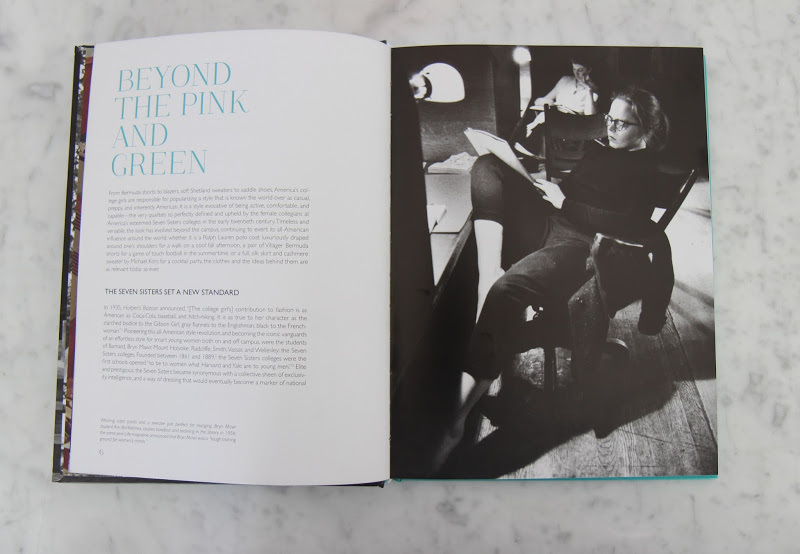 Filled with exquisite illustrations and iconic fashion photographs, as well as fascinating archival materials and correspondence, this book showcases the era when the magazine became the cultural force it is today. 1950s in Vogue will be published Fall 2019 and is the very first book to craft the comprehensive story of Jessica Daves’s time at the helm of U.S. Vogue. A testament to a changing America on every level, Jessica Daves’s Vogue was the first to embrace a ‘high/low’ blend of fashion in its pages and also introduced world-renowned artists, literary greats, and cultural icons into every issue with a revitalized dedication. Daves’s Vogue offered the reader a complete vision of how fashion, interiors, art, architecture, entertaining, literature, and culture were all connected and all contributed to refining and defining personal style. Profiling icons of American style from John and Jackie Kennedy to Charles and Ray Eames, Daves’s Vogue also featured the couture creations of Dior, Chanel, Givenchy, and Balenciaga.